When it comes to purchasing a gift for the bike rider in the family, it can be immensely tricky. 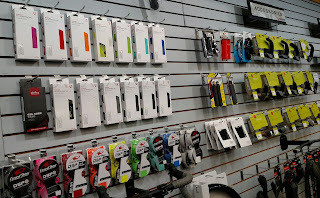 If they have been into cycling for a while, it's likely that it seems they have "everything" and for folks new to riding, it can be overwhelming because they might need a lot. Last year I introduced some gift ideas and this adds more to the list, which will hopefully help you find the perfect gift or stocking stuffer this holiday season. It's recommended that helmets be replaced every 5 years or if you have a crash that sustains impact to your head. Even still, the technology that helmets are being built with now is impressive and some are coming with additional features to keep you safe on the roads or street. MIPS technology is being offered in more helmets now. It was first seen in road and mountain bike helmets, but now you can purchase the popular Specialized Centro LED helmet with MIPS! Even the Specialized Align helmets and child/youth helmets can be purchased with MIPS technology. 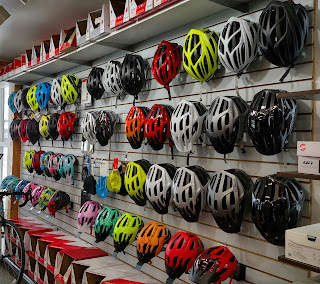 Decorah Bicycles has select helmets available in the store that are ANGi compatible with a lot of options to order in. I cannot say enough how amazing the Bar Mitt Extreme mitts are. Your hands are protected from the cold and elements, and if you suffer from chronically cold hands like I do, that extra barrier is so very helpful. In extreme temperatures, my hands might be cold, but I know I don't have to worry about the wind/snow/rain making me feel even more frigid. Bar Mitts also allow many to get away with not having to wear such big, bulky, cumbersome gloves. Maintain dexterity and experience comfort on your ride or commute. 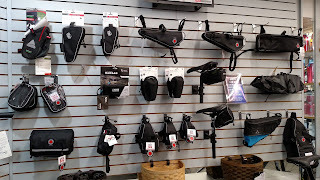 Purchasing a new saddle for someone can be challenging, but it never hurts to purchase a gift certificate so they have something to put towards a new saddle. There are many saddle choices out there, and it can be challenging to know what will be the best fit. Often it takes coming into the store and trying out several, or purchasing one and exchanging it for a different one if it's not quite right. One saddle that is making waves right now is the new Specialized Power Saddle with Mimic Technology. Mimic technology uses multilayered materials to maintain equilibrium and minimize swelling in soft tissue. 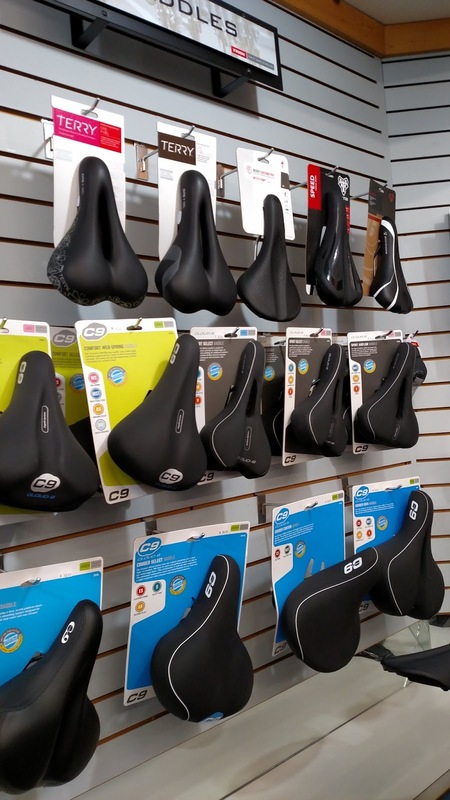 It might not be a saddle for every rider and it would work best for folks who ride in a neutral or forward posture (think of the posture on a road or mountain bike.) I'm currently testing one out and will write a review on it after I've had a few more rides! If you are looking for a gift for someone that likes to do longer rides or possibly does a bike race or two, then a bag might make the perfect gift. There are many bag options out there, so choosing one might feel difficult! I have a hard time eating when I'm racing, and I find it cumbersome to try and reach into my jersey pocket to get food. I've had a difficult time shoving a packet of chews up my shorts leg, too. A Wolf Tooth Handlebar Bag proved to be the perfect solution! I could store several snacks in it and when there weren't snacks, my sunglasses fit perfectly. Some folks might like a top tube bag instead, and others might like the thought of a frame bag. Ultimately, it depends what all you think they will want to carry or have with them. Seat packs make great flat repair kit bags. You can fit a tube, set of tire levers, and possibly a small canister of CO2 in the pack- if the person you're buying a gift for attends races or goes off on long mile rides, a flat kit would be a very thoughtful gift. Think neck gaiters, skull caps, thermal headbands, and balaclavas. Neck gaiters are great for folks who absolutely detest balaclavas. You can pull it up over your nose for extra protection from the elements and wear it lower when it's chilly. Skull caps and Thermal Headbands are great for wearing under your helmet. Both will keep your ears warm, but the cap will be best on those very cold days. Caps come with the option of being more thermal or wind resistant, and either option will work better under your helmet than a stocking cap. Balaclavas are ideal for the coldest days as they do provide the most face coverage. For some (like myself) they can feel too constricting or just unpleasant to wear if you're having to breathe heavy. There are several different designs for balaclavas, so there is a very good chance you'll find one that meets your needs perfectly. Again, these also fit easily under your helmet so you can maintain comfort along with being warmer. 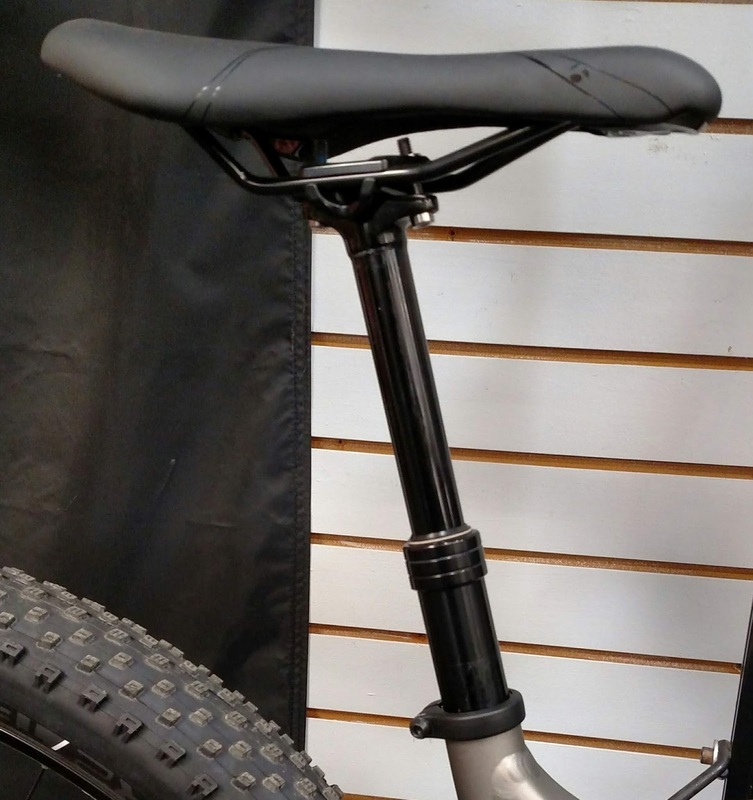 There are removable rear fenders for traditional-wheeled bikes and there are fenders for fatbikes. Inexpensive, easy to use, and perfect for the rider who is wanting to stay dry on wet days or for their commute. Many times folks will opt for just a removable rear fender, but there are options for front fenders or perhaps a front/rear fender combo pack. The nice thing about the removable fenders is you can take them off when the weather is dry (or frozen). Folks are intrigued about E-Bikes and Fatbikes and one of the easiest ways to get them out on one is to pre-pay for a rental. Fatbikes are typically rented in the winter months as folks are looking to get out of the house and out into the snow. E-Bikes are commonly rented in the warmer months and riding the paved trail possible or commute to the grocery store or out to lunch super fun. Knee problems? You can worry less about limiting where you ride since it can give you assistance on hills. The first step to trying something new is walking in the door, and this can make it a lot easier to do so! A wind jacket is a great piece of gear that can keep one comfortable for a variety of conditions and rides. Those who ride in open areas may appreciate it more than a mountain biker, but that doesn't mean they wouldn't find a use for one. A wind jacket typically has some water resistant property to it, so if one is caught in a light mist or rain, you won't get soaked right away. There are different wind jackets, some are considered more lightweight and "packable" than others. If you're purchasing a wind jacket for someone who doesn't own one at all, opting for a lighter weight one wouldn't be the worst idea. That way if they get too warm it could be stuffed in a jersey pocket or pack. 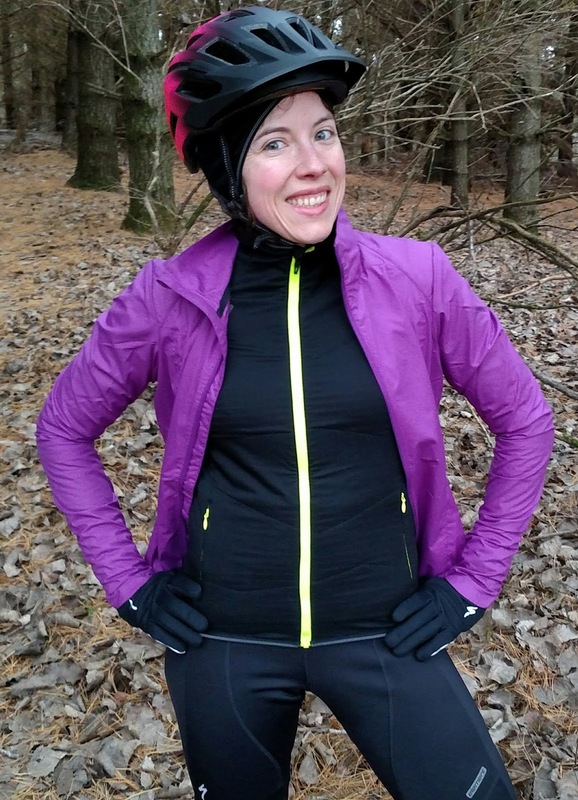 Specialized came out with a new jacket called a Therminal Alpha Jacket which is a lightweight, but very warm jacket one can use for layering under a jacket, wind jacket, or jersey to keep you warmer in the cold months. It's amazingly warm for being a layering piece and I personally can't say enough about it. It is challenging to find the right size for "everyday" wear as the jackets fit a bit small for snug layering. They mention that if you want a "street look" to size up. It's not an inexpensive piece of gear, but with the versatility, it provides for keeping one comfortable in cold conditions, it's totally worth it. It even has a lightweight hood you can wear under your helmet and if you have long hair, there is a hole you can fit your ponytail through. If you have a clothing item that is sized in "Small", "Medium", or "Large" you can use that as a guide. 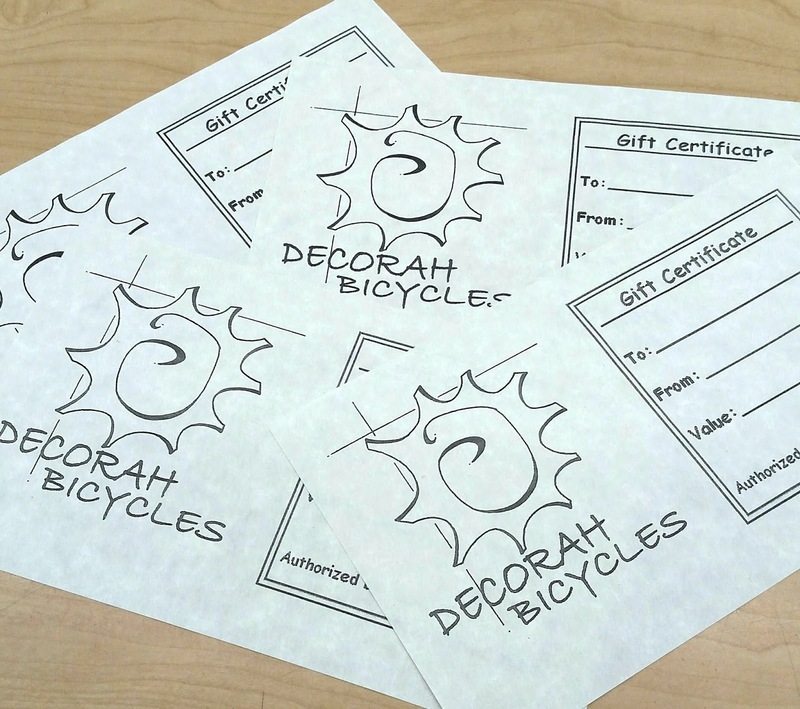 Start with that and if they need to exchange for a different size it's easy to do at Decorah Bicycles. 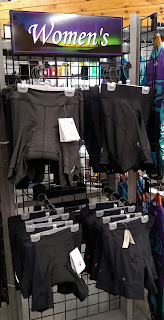 Shorts can feel complicated due to the different styles lycra vs. baggy and bib shorts vs. shorts. Most times it depends on the riding, but know that you can always put a baggy short or an athletic skirt over top of lycra shorts to give them a casual look. That can lead to being more versatile for some because you can wear the outer layer multiple times before washing vs. washing your singular pair of shorts. Some baggy shorts do not have a removable outer layer, so you need to wash the whole thing vs. just the padded short part. 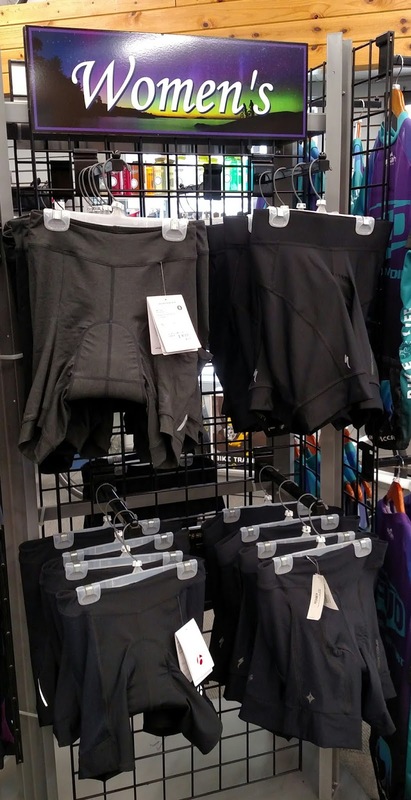 Padded shorts should be washed after every wear, so if you know of someone wanting to do a couple days of RAGBRAI or simply get out and ride more often, a new pair of shorts or a gift certificate for a pair of shorts is a great idea! 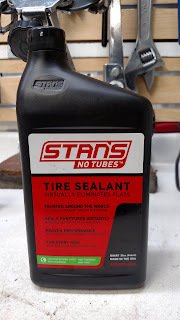 This can be tricky to purchase if you're not 100% sure what your friend/partner is running for tires/wheels, but if they have dropped hints that they need to get new tires next year or are thinking of converting a bike to tubeless, then that helps! We can always do a gift certificate that can cover all or most of the cost of either/or. Not all bikes can be converted to tubeless, so that's why it's best to either bring the bike in or take pictures of the bike, current wheels/tires and we can try and assist with what knowledge that gives us on if it can be converted or not. New tires are personal, too, but if one has heard complaints of the tread being worn down or not having great traction out on the trails, we can help with that! If their bike isn't set up to be tubeless, you can still purchase higher quality tires to lighten up the ride and/or make it more compliant and comfortable. 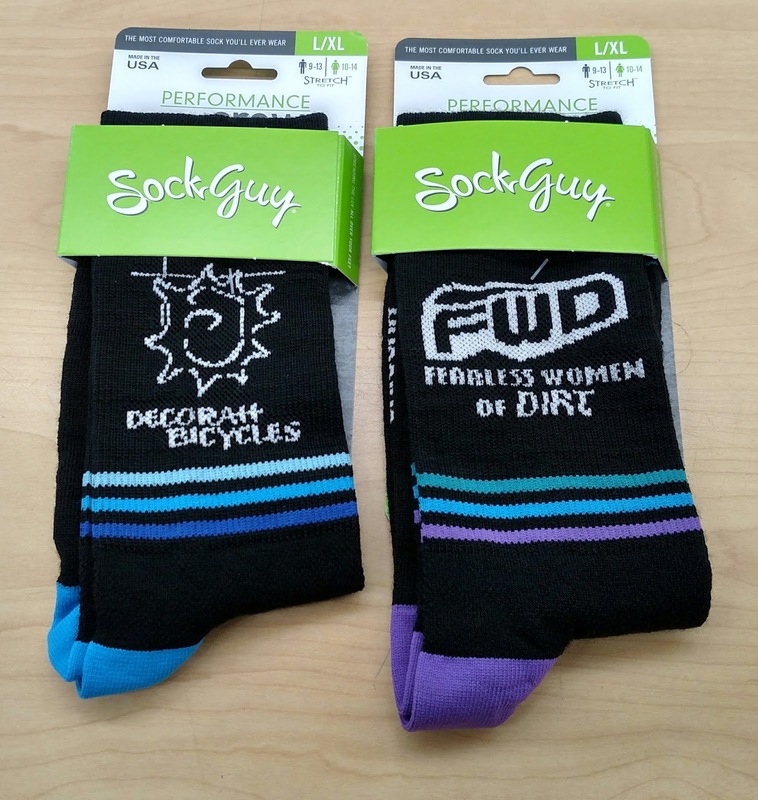 Know someone who hates getting flats and can't get a tubeless setup? Tires with more puncture protection would be a great investment. Know your friend/partner already has a tubeless setup? Why not give the gift of tire sealant? All you need to know is their sealant of preference. There are many options of trainers out there and it can be challenging to know what one would be the best choice. Thankfully, Decorah Bicycles has the ability to order in any CycleOps trainer you could want. In store you'll find the most commonly purchased trainers- and many times those work out great and meet most needs. If you know that you or your partner/friend would rather catch up on their favorite t.v. shows vs. using something like Zwift, the trainers on display will work just fine. 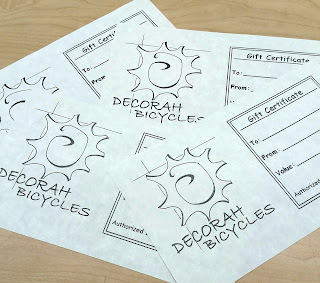 If you opt to order a trainer through Decorah Bicycles, it is likely it will show up the next day! 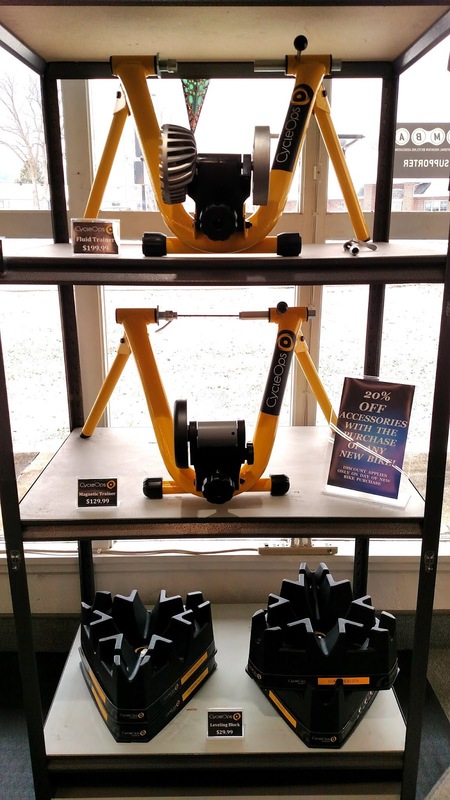 When you purchase a trainer you'll also want to purchase a climbing block, or maybe two if you want the ability to change things up (ride at an incline). A trainer tire or a smooth tire that doesn't have tread would be a good idea, especially if you know one plans to use the trainer often. Gloves can age and wear out, and sometimes folks don't know that you can (and should!) wash your cycling gloves fairly regularly. If they have reached a point of no return, a new pair of gloves can be the perfect gift! There are many different gloves one can look at, and it would ultimately depend on the type of riding that would point you to one direction or another. 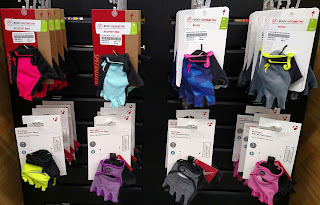 Many folks opt for fingerless gloves with gel padding for comfort on road/gravel/pavement rides. For mountain biking or gravel riding, lightweight full finger gloves are a great idea. There are options for lightweight, full finger gloves with some minimal padding. 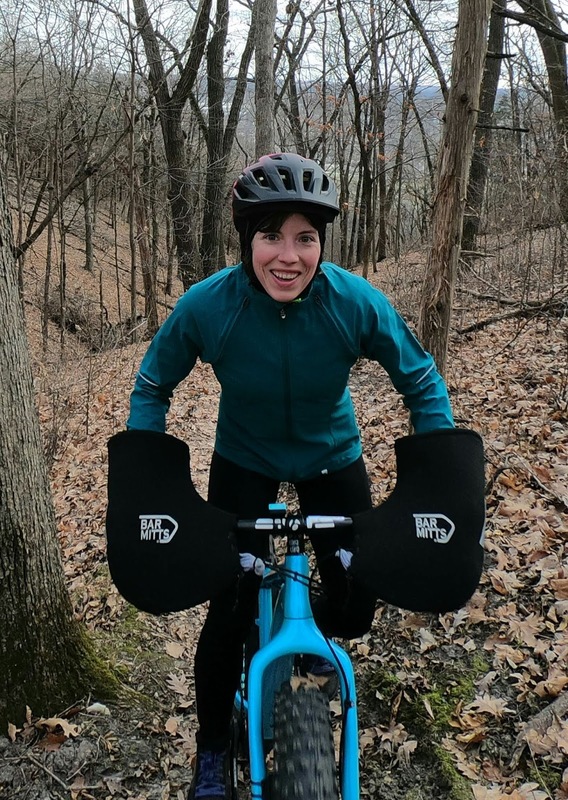 Some folks will use fingerless gloves for mountain biking, but it depends more where they are mountain biking on if that's a great idea or not. Decorah has a lot of close trees on our mountain bike trails, and it can be really easy to accidentally smack a knuckle on a tree. I'm a fan of long fingered gloves on gravel, too. 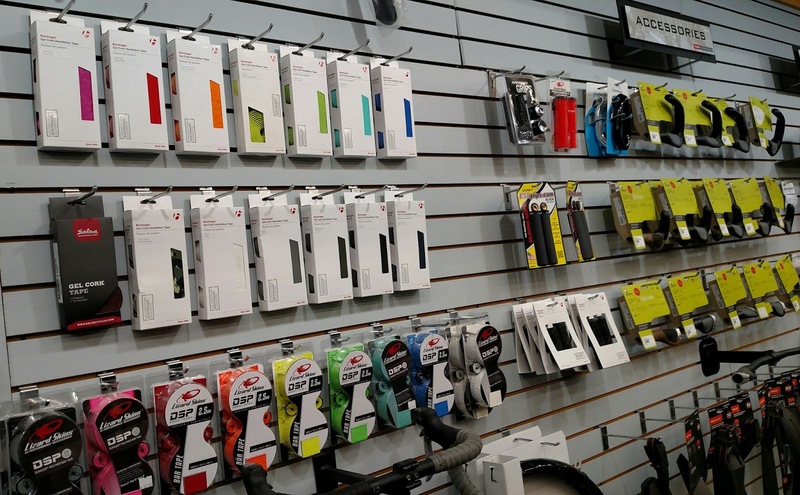 There are many different grip and bar tape options out there and it can be an inexpensive gift/upgrade for someone. 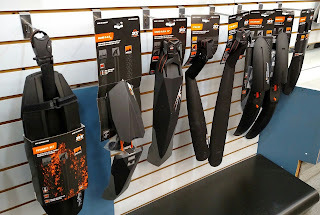 Maybe they are looking for a grip that offers more palm support or maybe they have coveted that plush bar tape but haven't felt they could spend the money on it. Plus, a fresh pair of grips or new bar tape is an easy way to freshen up the bike. A dropper post is being added to many a wish list because it's a nifty accessory that can increase confidence on the bike. It's not always the easiest thing to purchase in secret, because it depends on the style of bike and if they have internally routed compatibility or if it would have to be externally routed. 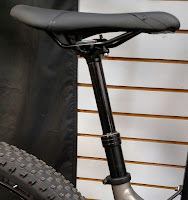 If you're sneaky enough to take pictures of the bike and know for sure the make/model, your LBS may be able to assist with ordering in the exact dropper post you'll need. Otherwise, a gift certificate that would cover the cost of the most likely option would certainly help. There are several options for tune-up packages from just mechanical work to getting the bike disassembled and having all new cables/housing installed, plus the frame/wheels cleaned, etc. Some folks get their bike serviced every year, others go for years without bringing their bike in. Either way, the gift of a service job is like giving the gift of an oil change for a vehicle. It dials everything in and if you opt for a package that cleans the bike- it can feel almost like you gave the gift of a new bike! 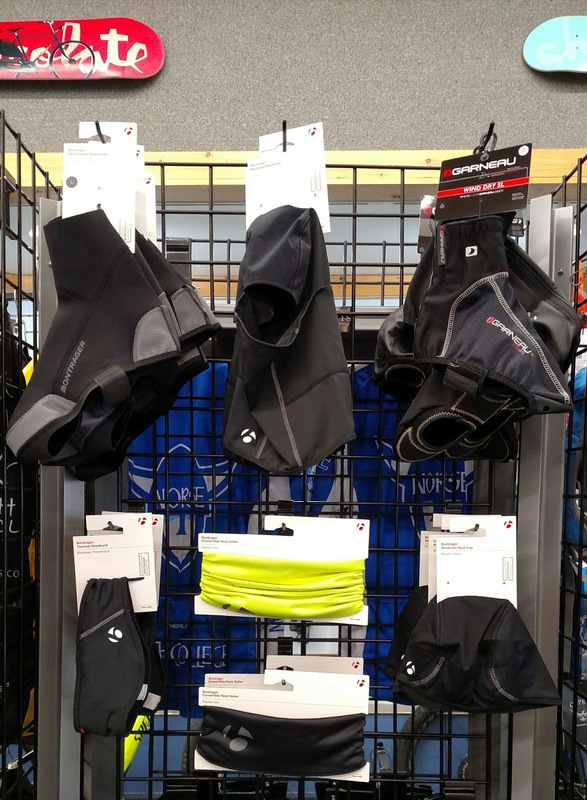 These are just a handful of ideas that can be utilized for gift ideas for your favorite rider or possibly yourself. You will notice that gift certificate is mentioned quite a bit, and that's because it is a foolproof way of being able to give the gift of something without worry over purchasing the wrong item/size/color. It's not always as fun as putting something in a box, under the tree. This could be a solid gift for a mountain biker who either doesn't have a fatbike and misses the trails or for a fatbiker to use when snow conditions just aren't ideal for biking. You can literally hit up the trails on foot and get away from the hustle and bustle of home. All you need will be some winter boots and away you go! 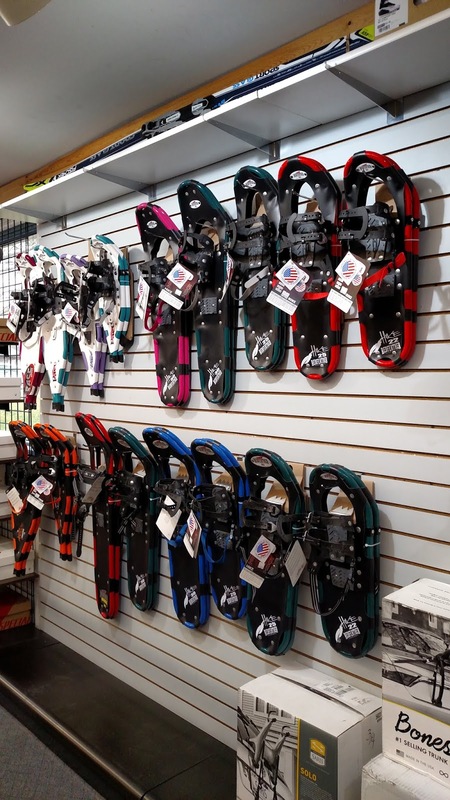 Decorah Bicycles does offer snowshoe rental for $10.00 for 24 hours and they have several pairs of Redfeather snowshoes available for purchase. 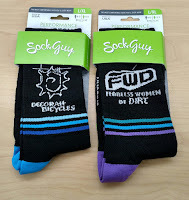 Decorah Bicycles or Fearless Women of Dirt Socks! We have sizes S/M and L/XL available in both styles. They retail for $11.95 - as a bonus, you can mix/match them! Hopefully, this gift guide helps you find the perfect gift for your favorite rider, perhaps you might find one for yourself! As always, the folks at Decorah Bicycles are always happy to answer any questions you might have on any of these gift ideas.